Welcome to episode 76 of our kidlitwomen* podcast! Usually, this podcast features an essay about an issue in the children's literature community (Monday) and a discussion about the essay (Wednesday). Today’s episode is recording from the 2018 NCTE conference. After the panel “Representation Matters: Exploring Female Identity in Children’s and YA Literature” was held, a few of the participants gathered to continue the conversation. This is part 2 of the after panel discussion, please listen to part 1 HERE..
Laura Jimenez who is a lecturer at Boston University School of Education, Literacy program. She teaches children’s literature courses that focus on both the reader and the text by using an explicit social justice lens. Her work spans both literature and literacy, with a special interest in graphic novels and issues of representation in young adult literature. She was also featured at this podcast on episode 69. Noelle Mapes who is 2nd grade teacher on the Lower East Side of NYC, She shares anecdotally about teaching in the classroom in the real world with practical tips on how we can teach justice and equity to kids and the importance of weaving social justice curriculum into the classroom culture to avoid feeling that social justice education is contrived or a "once-a-year" event. You can find her on twitter @noeycat. 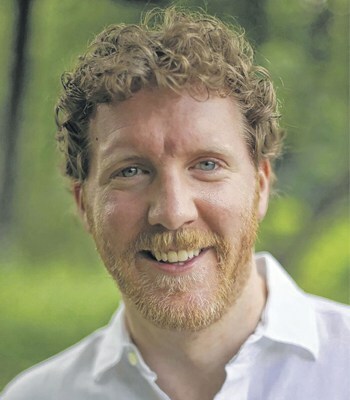 Brendan Kiely is The New York Times bestselling author of All American Boys (with Jason Reynolds), Tradition, The Last True Love Story, and The Gospel of Winter. His work has been published in more than ten languages, received a Coretta Scott King Author Honor Award, the Walter Dean Myers Award, the Amelia Elizabeth Walden Award. His work has been selected twice as one of the American Library Association’s Best Fiction for Young Adults and was a Chicago Public Library Best of the Best. Originally from the Boston area, he now lives with his wife in New York City. 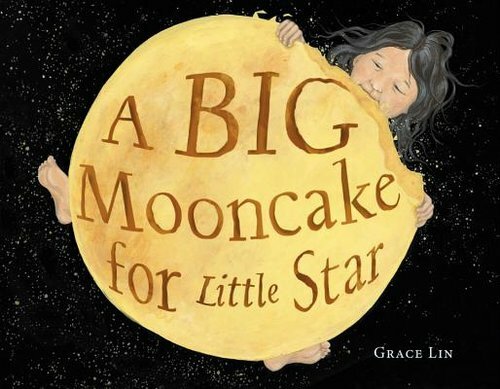 Grace Lin, a NY Times bestselling author/ illustrator, won the Newbery Honor for Where the Mountain Meets the Moon her most recent picture book, A Big Mooncake for Little Star, was awarded the Caldecott Honor. Grace is an occasional commentator for New England Public Radio and video essayist for PBS NewsHour (here & here), as well as the speaker of the popular TEDx talk, The Windows and Mirrors of Your Child’s Bookshelf. Brendan K: (background laughter) Oh no, it's exciting, that's real exciting. Grace: But the question that we were discussing was how do we combat toxic masculinity with our work which I think you have probably a really interesting perspective. Brendan K: But, is to model characteristics that are non-toxic. The ability to love someone and it's not a romantic love, it's just the ability to love. And that is something that we should be prioritizing I think and the heroic values of the text. Male friendship. Friendship between boys and girls, that's something that I have tried to do in particular in TRADITION. In the dual narration is to show friendship and why that's so valuable. But I was mentioning all this in another context as well and I think this is important to think about. On the panel I mentioned the figure from the World Health Organization that 1 in 3 women will experience some form of sexual violence or intimate partner violence in their lifetime. One in 3 around the world according to the World Health Organization and that's a staggering statistic. And it isn't, as I've mentioned a nefarious few men who perpetrate all of that violence. It is a culture of toxic masculinity that perpetrates that violence. But to understand the culture then we have to not just think about the moments that are the extreme end of that violence, but the moments that engender that kind of an outcome. Brendan K: And I think about the fact that my wife and I when we step outside of our apartment in New York City, have to make the same walk to the subway. On that walk, we pass by three construction sites. And my wife, when she passes by those construction sites, gets the hoots and the hollers, and she gets her body named immediately in a way that of course I do not. And when I make mention of this in my school visits sometimes, students laugh at that and say, "Well of course you don't get the cat call and your whatever..." And it's funny until of course, it isn't. Brendan K: I relate that to a story then where my grandmother, I share the story of my grandmother who graduated number 1 in her class in high school. She was the valedictorian of her class which is fantastic. She could not walk across the graduation stage because she had to get a job to help support the family, because the father had left the family and abandoned them and they needed income. So she went and got a job at a doctor's office. A woman in the doctor's office said, "Jane, if this doctor asks you to go to a conference with him, don't go." And my grandmother, she related that story to me, said, "All I could think about were all the women who worked in that office before me, who had not been warned." Brendan K: And that culture of language, that culture of 'boys being boys' joking, that locker room talk language. Language affects attitude, attitude affects behavior, and this all exists on a spectrum. So if we're going to talk about toxic masculinity, we can't only talk about the extreme ends of violence. We have to talk about the culture that engenders that. And so for me as a writer, that's what I'm trying to capture that. Kind of ... the experience that characters who are boys can process their own participation in the cycle of violence. Even when they're just saying jokes in the locker room. Brendan K: And likewise, following the leadership of women. So women who, though they are leaders, may still suffer some form of discrimination or violence. But also being purposeful in my work as a writer and as a public speaker to talk about moments of leadership. And it's a special honor to be on your podcast with you because when I was doing some radio interviews for TRADITION, I want you to know that I called you out as a leader in the industry. In particular when you started the Facebook group to speak about kid-lit women. And it's important for someone like me to always name the leaders from whom I'm learning. And so it was great, it's an honor to be here with you because I named you as one of those leaders at that moment that we so desperately needed and we all needed to listen to. You, [name? 00:23:21], there were a whole number, and so that's just important. Brendan K: And likewise, when I'm talking about, so, TRADITION has been dubbed by some, A SEPARATE PEACE for the #MeToo generation. Which I'm grateful for but there's no way in heck I'm going to step into that space and say like this is #MeToo, because it's not #MeToo. And so instead, while I can be grateful that people talk about that because I do want to get A Separate Peace out of the curriculum (laughs) and get some other books in there. The first thing I want to say is that when I go into a space with schools is that I may have learned about #MeToo from Hollywood stars but Tarana Burke, a black woman from the Bronx, started the MeToo movement over a decade ago. And we should rely on the work that people have done before us as our starting point, not as a reinvention of the wheel but to rely on that wisdom so thank you for yours. Grace: Aw, thanks. But I wanted to go back to what you were saying about how the language starts ... that it's not just the most violent end of the spectrum, it starts with the language. And I think it also starts when we're really young. It even starts when they're in 2nd grade. Grace: I think about the picture books that are quote, unquote, "boy" books. And they're great books, I'm not trying to put them down. But I noticed that a lot of the quote, unquote "boy" picture books that the boys have to, ... they always bond in some kind of an aggressive way, like they'll be like, you know, "my toy breaks your toy". Or I the way I bond with my grandfather is that we both draw these guns, you know. It's a very interesting them that we have even from an early age have shown boys that the way they connect is through an aggressive violent, through aggression and violence. And yet, it's the opposite for girls. And the girl, the way girls connect is not valued as much. Grace: But I know we're running out of time but I just want to have this one last question which we didn't talk about at the panel but I really wanted to. Okay because one of the whole purposes of this podcast is the hope that it reaches people who maybe, maybe don't come to these panels. I was just saying to Laura, how you know, people come to these panel discussions and they're kind of a self-selecting group. And the goal, and not that ... I'm glad that they came (laughs), but the goal of like how do we reach the people who don't come to the panels. How do we reach the people who actually are not aware of these issues, who don't, who don't think these are important issues. How can we reach them because obviously we think it is so important, do you have thoughts about that? Dr. Laura J.: So I think, a lot of us in teacher education, a lot of us in social justice, a lot of us that are involved in trying to change the ways that people who work with children, like Noelle, do that. We refer to this as "The Work", with capitals, right? It's, it is "The Work", it is important work to be done. But it's not that I can do it for anyone. I cannot open the door and shove them through. I can give people opportunities, I can drop truths, I can say the words. I can't make them. I can't do anything. They have to want to do "The Work." I think what's happening is that through social media and through the revolution of children's books like Noelle talks about, right? I think that is changing the look and feel of adolescence and young adulthood. And so I think that's where my hope is. Is that if I keep doing "The Work", there will be people who want to come on the journey with me. Noelle M.: And I hope that people in teacher education programs make this required, make this a baseline. It's just like integration. No one's going to integrate unless it's forced. No one's going to learn about this unless it's forced. And it doesn't mean that they're going to receive it or embody it or value it necessarily. But the exposure is one thing and then maybe it will open up to something else at another point down the road. Noelle M.: I will say that Deidre Price Dennis (?name [00:27:51]) is the one that facilitated our panel and when I was in graduate school she created a space for graduate students of color to come together and not deal with the white fragility, the white guilt that a lot of our classmates were coping with. She made it so that, yes, we're always going to do labor for our classmates, that's part of being a teacher, it's part of being a part of a community. But she made it a space for us, to be able to push ourselves further, to make things more radical, to question ourselves, question our privileges and think what else we could be doing. So, if you are in space like academia, making those communities, those subsets of communities, for them to feel seen and rejuvenated in order to have those difficult conversations with people who wouldn't opt to be in those conversations. Brendan K: Yeah, all I think I can add is that I really appreciate this notion of "The Work" and that part of our job is not to convince folks who are the furthest away from us but maybe to begin to have more meaningful conversations with folks who may be more receptive more quickly. And I, so for me, that is, it was interesting is Samira Ahmed (?name [00:29:04]) was talking about on the panel, like Thanksgiving! You know, like, every Thanksgiving it's kind of a joke, it's like people are around the table like "what is Brendan gonna say now?" (laughs) It is part of "The Work" and we have to face it. And slowly but surely grow that network then and know our space. I really appreciate that notion of creating affinity spaces. Brendan K: And that's why I think that kid-lit women is also such a great opportunity for a strengthening of folks who are already, who already need that open door and space in which to do work together. 'Cause some folks may feel isolated right now and want to do it already and they're the folks that we want to have this conversation with first and foremost I think. So that's, I appreciate all that. Grace: All right, well thanks so much everybody. This was so great, I wish I could have recorded the whole panel but I'm glad that at least got this so thank you very much.